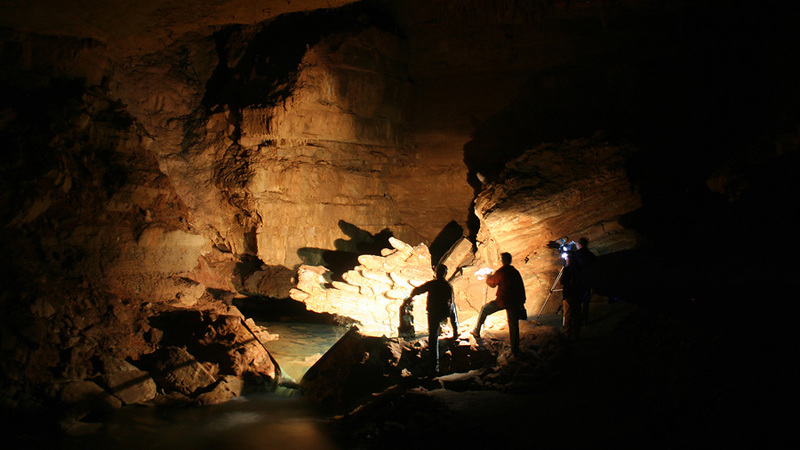 Even though video crew members carried in bright lights, this vast chamber's 60-foot ceilings swallowed much of the illumination. Tumbling Creek runs through the room; it is fed by runoff from a nine-square-mile area. 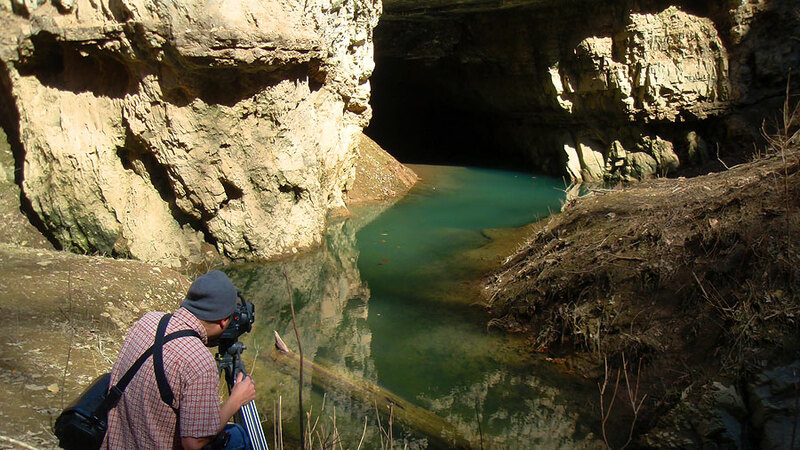 Videographer Neil Rosenbaum captures video of light playing on water droplets as they fall from the cave roof and then echo when they hit the still pool below. 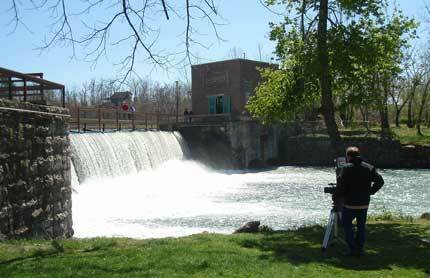 Springwater flows over a dam built early in the 1900s to generate hydroelectric power. The old turbine is on public display in the building to the right of the dam.